Brewing, winery, soft drinks manufacture, food preparation production and packaging (baking, ready convenience meals, abattoir, meat, poultry and vegetable), dairy (milk processing, cream, cheese and yoghurt production), commercial laundries, pharmaceutical, petrochemical and many other industries are large users of water. This results in large quantities of heavily polluted wastewater for disposal. 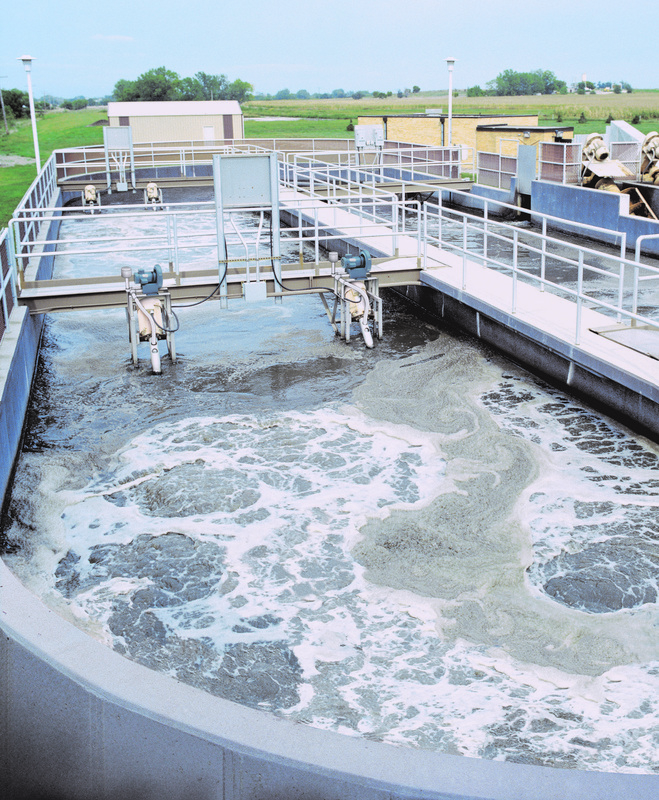 UK Water companies and the public bodies responsible for collection, drainage and treatment of wastewater have strict controls on the quantity and the quality of industrial and trade wastewater being discharged into public sewers. Legislation supports them in this. Direct discharge to a watercourse is even stricter and is normally monitored by the National Environmental Agencies and the Environment Agency in the UK. Penalties for transgression can include prosecution, fines, financial loss and can, in some cases, prohibit operations. It is always advisable to carry out an evaluation of the processes involved in the core business of an organisation to identify sources of wastewater. An audit would help reduce waste/wastewater and disposal costs, quantify flow rates, solids and organic loads and characterise the wastewater to provide the necessary data for analysing the available disposal options and optimise the design of any on-site treatment plant. It is useful to be subjective when carrying out an audit to ensure that good housekeeping practices are identified to reduce unnecessary waste which would add to the costs of disposing wastewater generated on site. Process audits should be aimed at identifying the waste, excess use of water and energy. Simple actions, such as installations of energy-saving devices or taps and hose controls and careful disposal of solid waste, can produce both financial and environmental benefits. 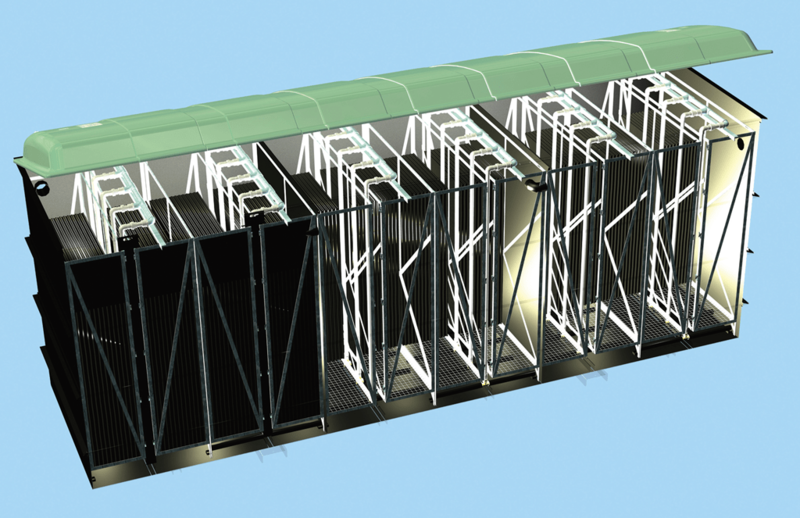 It would also help to reduce the size of an on-site treatment plant if one was planned and this would result in capital cost savings. An audit would lead to evaluation of volumetric and organic mass loads for design purposes and would aid in characterising the nature of the waste, to optimise the design for on-site treatment plants. Public sewers are convenient for disposal if nearby. Quantity, strength and characteristics of the wastewater need to be considered and consented by Authorities or the Water Company in the UK. If approval is granted and the wastewater meets the criteria set, then sewer disposal would be an obvious choice, but this comes at a cost. High COD (Chemical Oxygen Demand) and suspended solids would lead to high costs in discharging to sewer and reducing these parameters could make significant savings. Partial or full onsite treatment would bring about cost savings to sewer discharge but needs justifying through quantification. With the food processing, beverage and dairy industry, hygiene is of paramount importance. On-site wastewater treatment may be perceived by management as presenting problems although the risks are small. It is vital that the Operatives normally involved in the process part of the industry, do not need to visit the wastewater treatment plant and the risks to main operation therefore are contained and the operation of the wastewater plant becomes one of non-core features. This can be achieved by having the treatment plant operation undertaken by the maintenance department of the industry or independent operators such as KEE Process Limited who would provide a turnkey solution for designing, supplying, installing and operating a plant for a Client. Where the decision to treat on-site has been made, the appropriate choice of plant has to be determined. Whether partial treatment or full treatment is installed is usually a matter of economics. A capital outlay is necessary and this must have an acceptable payback period. The treatment options available are Physical, Physical/Chemical, Biological or a combination of all or any of these. On-site treatment could involve simple physical treatment to remove materials such as gross solids, FOG (Fat, Oil & Grease) and can include pH correction. The equipment may include manual or mechanical screens, grease separators or the newly introduced DISPERSED AIR FLOATATION which is simple, economical and extremely efficient and effective. A component of COD associated with these materials would also be removed by the physical treatment. With DISPERSED AIR FLOATATION up to 30% BOD, 50% COD, 60% TSS and over 90% FOG can be removed physically without the use of chemicals. Better performance can be achieved by using coagulant, flocculants and ploy-electrolytes. In most cases, partial treatment using DISPERSED AIR FLOATATION would achieve the reduction in pollution loads necessary to substantially reduce the cost of discharge of effluent to public sewer. The ownership costs (capital expenditure, servicing, maintenance and operation costs) associated with DISPERSED AIR FLOATATION are usually low. 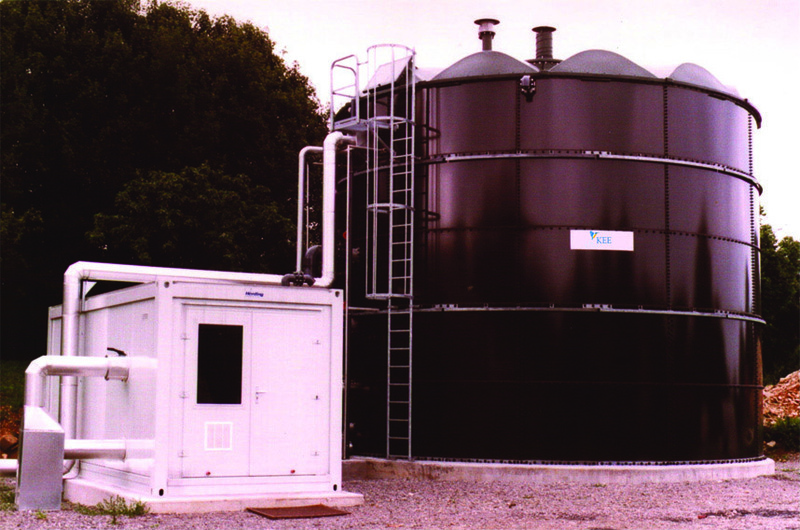 The benefits of cost savings in effluent disposal are high and the capital/operating cost of proving on-site partial treatment can be justified against the ownership costs. Given these benefits it may be sufficient not to invest in further onsite treatment for the effluent to be discharged into public sewer. However, it may still be necessary or even desirable for the wastewater to be treated further for direct discharge to a watercourse or re-used for non-process operations within the industry. In such a case, full on-site treatment would often justify the capital and operations cost. Cost analysis must also take into account the valuable space required for location of the treatment plant on the core business site. For disposal to watercourse, consent from the Environmental Regulating Authorities (the Environment Agency in the UK) will be necessary. 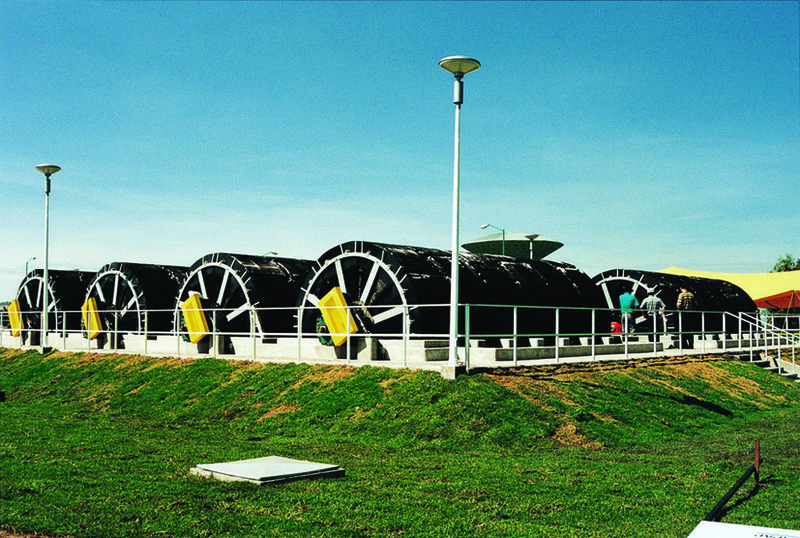 Suspended Growth Activated Sludge Process options through Extended Aeration, Sequencing Batch Reactor (SBR) or Oxidation Ditch. 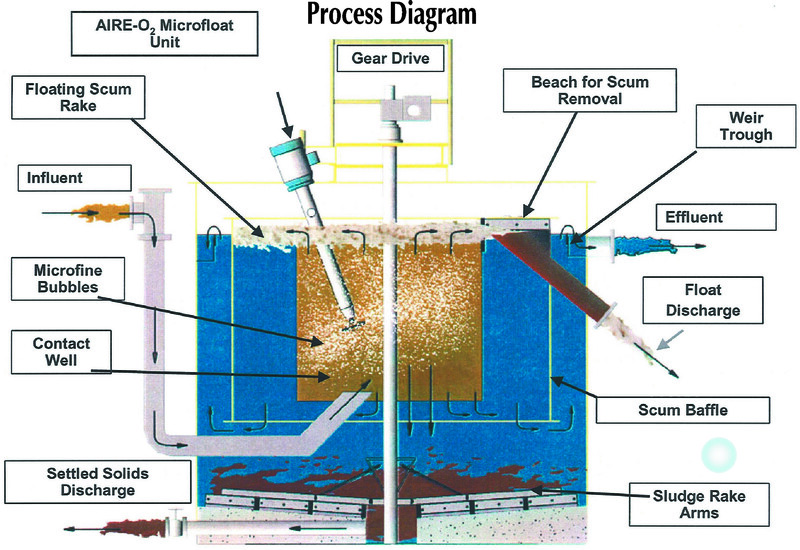 Fixed Film Process through Rotating Biological Contactors (RBC), Submerged Aerated Filter (SAF). Operating Cost including on-site attendance/labour costs, energy costs, consumables and plant operation complexities. Disposal costs of physically separated pollutants e.g. FOG, TSS and sludge in case of full Biological treatment plant. Servicing, Spares & Maintenance Cost. 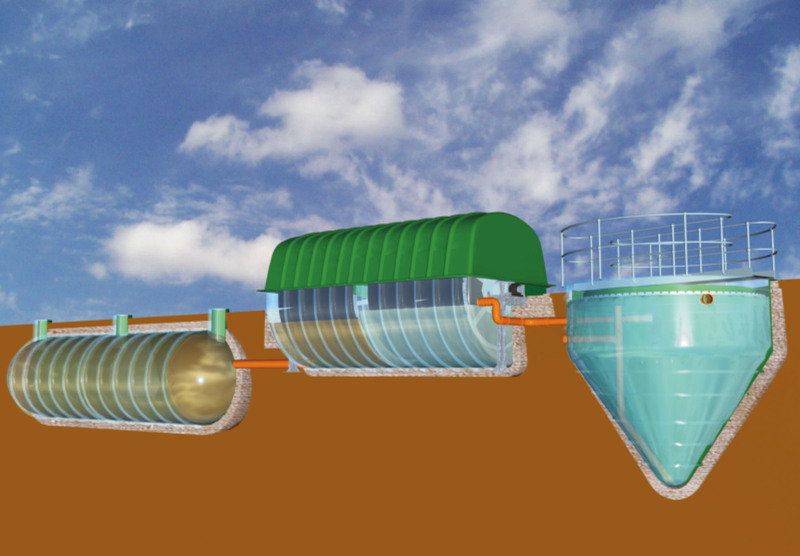 Space and Land requirements for location of the on-site treatment plant. All the above factors should be taken into account and a discounted cash flow calculated on a 10, 15 or a 20-year replacement cycle. This should be weighed against the cost of disposal to sewer or partial treatment followed by disposal to sewer. 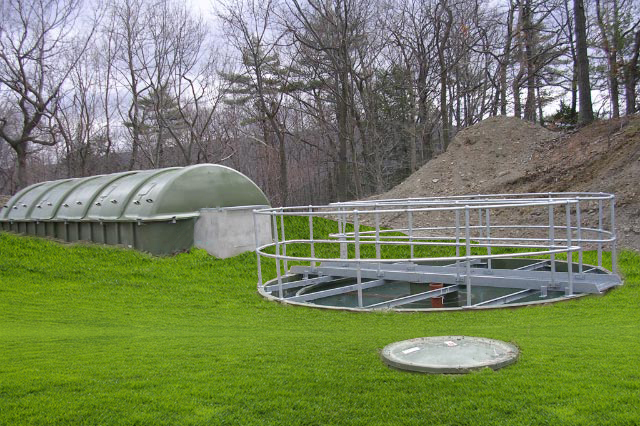 When evaluating the disposal costs to public sewer, it is necessary to liaise with the authorities or provider of the central wastewater treatment plant, to establish initial capital cost contribution expected and the potential annual costs associated with sewer discharge over the next 10,15 or 20 years. Armed with all this financial data, the overall cost of various disposal options should be evaluated and the financial disposal option chosen justified on a payback period or the net discounted cash flow, or the simple approach of evaluating the cost of disposing a unit volume (say 1 m3) of effluent. 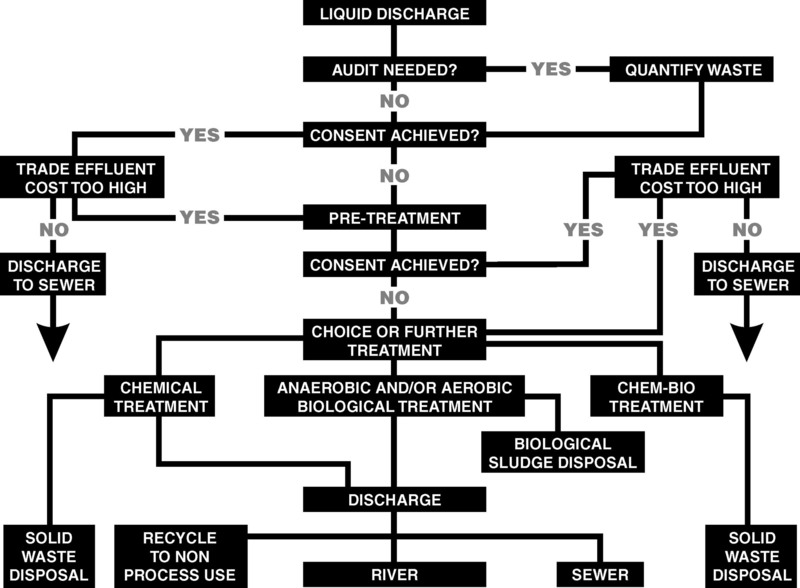 With so many factors to consider, such as type of treatment, if any, the process selection for partial or full on-site treatment and cost analysis to justify the most appropriate option for disposal of the effluent, it may be beneficial to use the services of a professional. An experienced independent consultant with a wide knowledge of industrial wastewater treatment processes would be the obvious choice. Some Companies do offer a wide spectrum of process options and have the necessary experience to offer turnkey solutions using the most optimised process. Such companies may have a bias towards their own technology and process if they have a limited range of process options to offer. All this should be balanced against their ability to provide project management, process design, site civil work, mechanical/electrical erection, commissioning and more importantly on-site operation with process warranties. 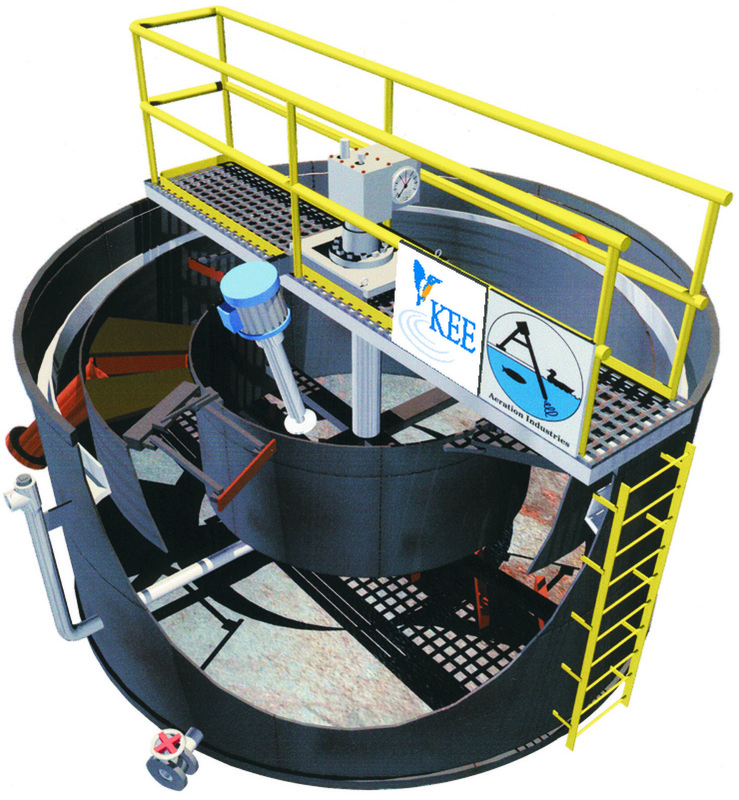 The KEE Group Companies, KEE Process Limited and KEE Services Limited can offer such an option. 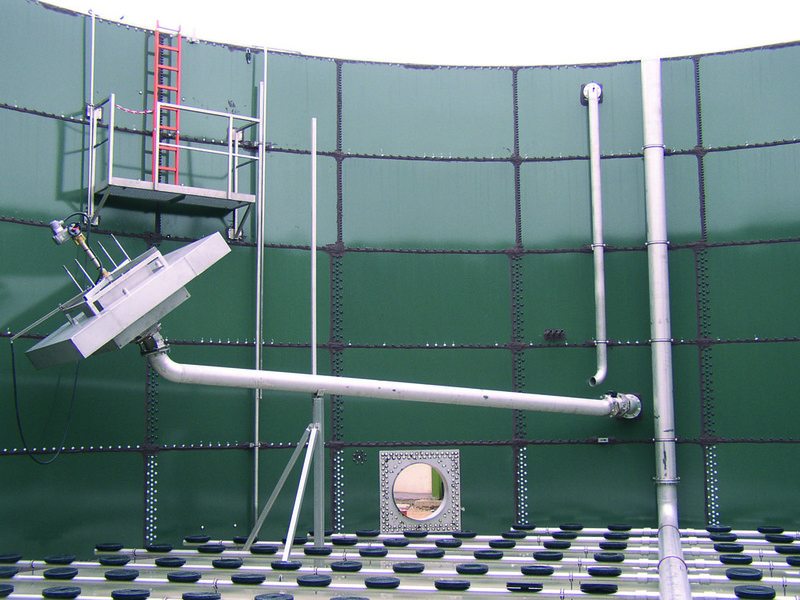 Their technologies include physio-chemical processes (Dispersed Air Floatation, simple gravity solids and grease separators), Anaerobic Reactors (for high strength wastewaters), Fixed Film (RBC and SAF) Reactors and Suspended Growth Reactors (Activated Sludge Processes such as Extended Aeration, SBR, Oxidation Ditch, Extended Aeration followed by Ultra fine Filtration), and on-site operation of the treatment plant. KEE also have a team of experienced process engineers and project engineers capable of delivering the necessary turnkey solution to suit most customers. KEE Services offer on-site plant operation with out-of-hours emergency backup through a 24hrs manned Call Centre. Large RBCs for biological treatment. 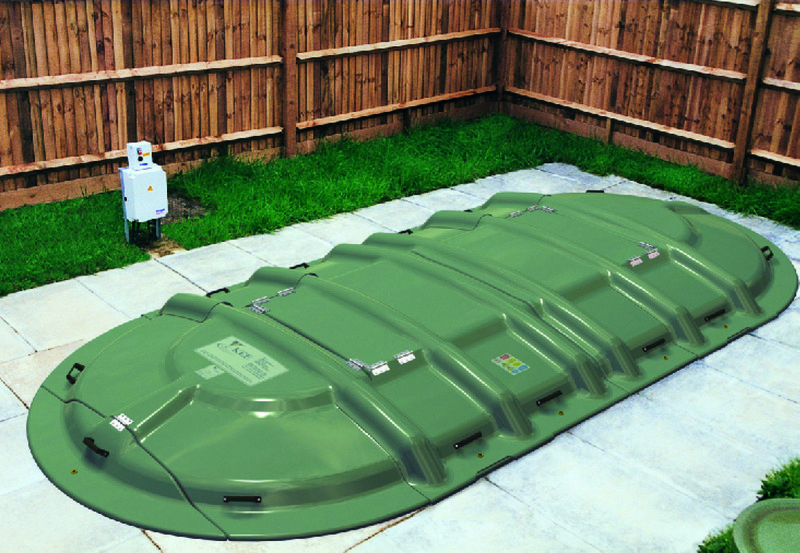 Compact, single piece NuDisc® RBC Wastewater Treatment System. 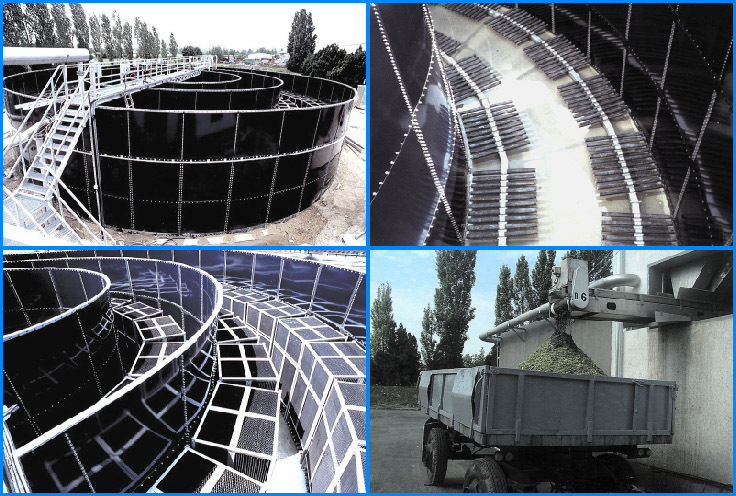 The decanter and access manway of a fruit juice wastewater treatment SBR Plant. 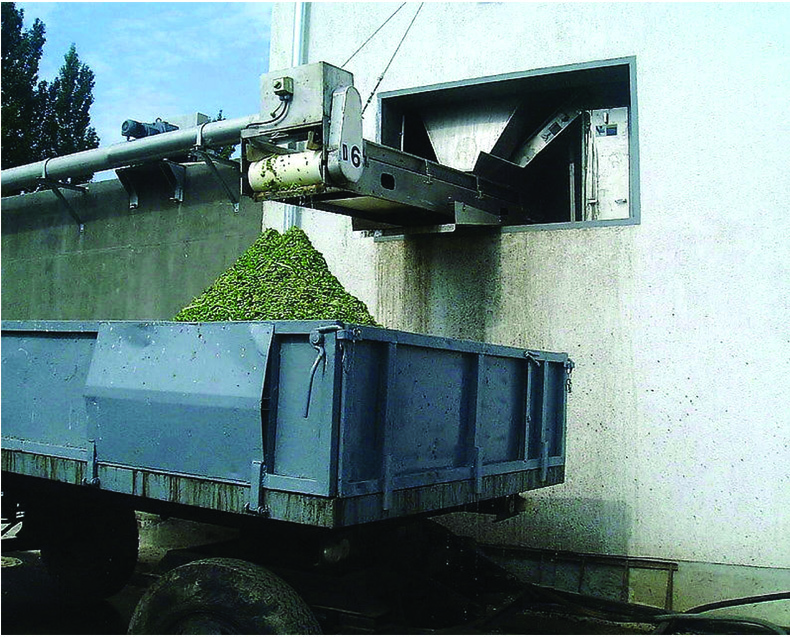 Vegetable processing wastewater screening prior to being treated in a multi-stage Submerged Aerated Filter Plant. Sequencing Batch Reactor (SBR) plant at a Brewery. Multi-stage Submerged Aerated Filter Plant. Preliminary treatment includes screening. This entry was posted in Fine Bubble Aeration, Fixed Film Technology, KEE Aeration Systems, KEE NuDisc Technology, KEE NuTech Tertiary Filters, Wastewater Treatment Plant Refurbishment, Wastewater Treatment Plant Servicing and Maintenance, Wastewater Treatment Process Technologies and tagged Rotating Biological Contactor (RBC), wastewater treatment plants, wastewater treatment solutions on August 25, 2017 by Connellmarketing1234. KEE collaborate with Northern Ireland Water on a £5m investment to construct one of the largest RBC sites in Europe. 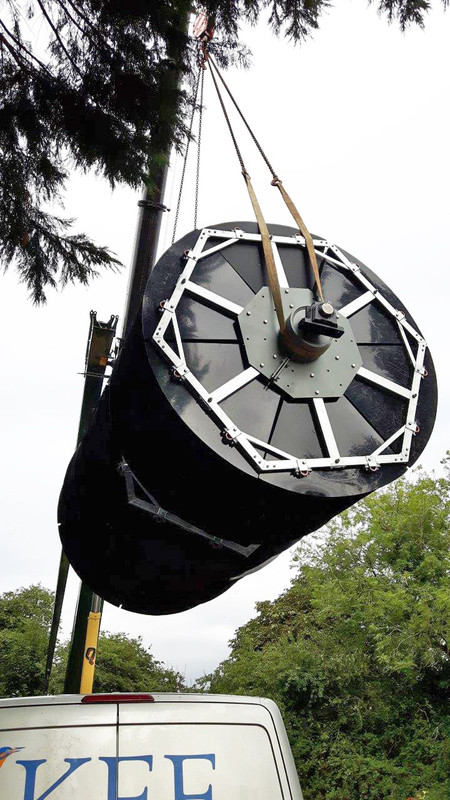 KEE’s expertise in design, manufacture, installation, servicing maintenance and operation of equipment for all types of wastewater treatment plants is backed by over 60 years of experience and over 350,000 installations worldwide. 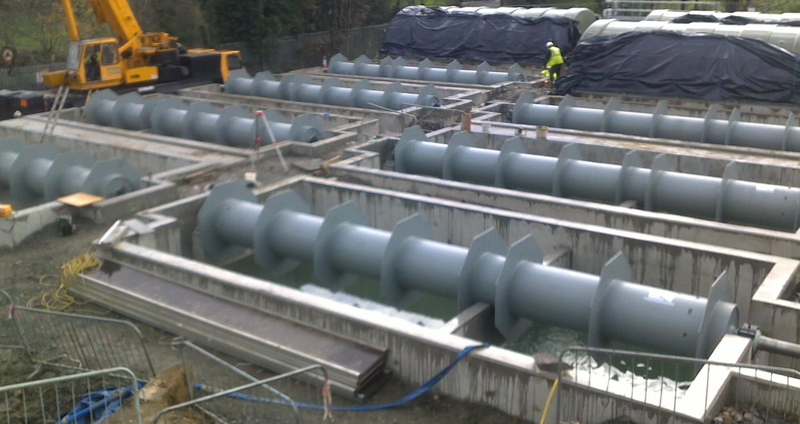 KEE have been working with Northern Ireland Water (NIW) for over 15 years, providing treatment plants for many of their water infrastructure projects. The most recent collaboration involved KEE Group working on a new £5 million wastewater system for 5,800 people at Keady, Co Armagh. The new Keady Wastewater Treatment Works was to deliver improvements in process efficiency, discharge quality and increase the capacity of the plant to encompass the neighbouring population in Armagh. Achieve current and future NI Environment Agency discharge standards and EU regulations. 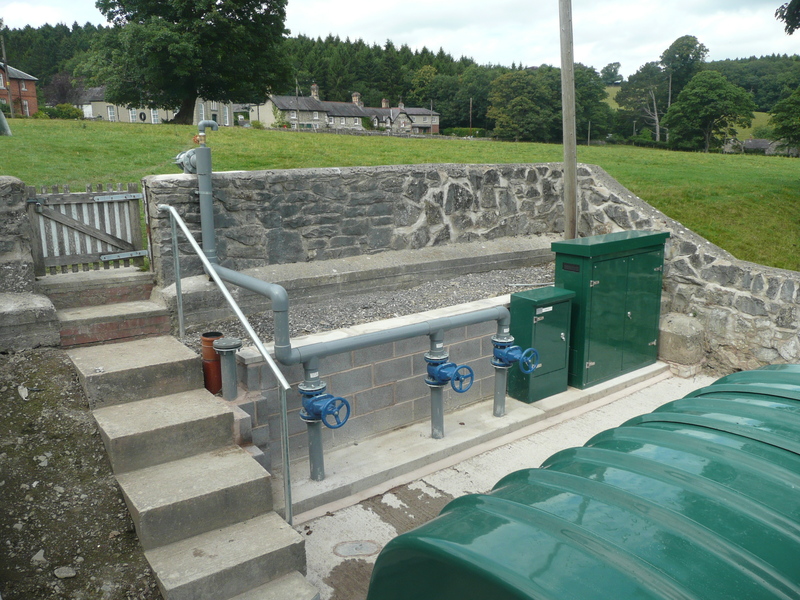 The consistent performance of KEE’s RBC technology installed in Derrylin back in 2010 gave Northern Ireland Water the confidence to proceed with the Keady project. The new plant was installed in the Autumn of 2012 and consisted of a Tertiary Slow Gravity Sand filter and 10 RBCs (Rotating Biological Contactors). Keady WwT Works, Large Diameter RBCs under construction. Robust and consistent performance during Winter and Summer periods, ensuring discharge consents are met all year round. Substantial underground installation to minimise the visual and environmental impact on the landscape. Thermostatic temperature control system inside each RBC unit to mitigate sub zero ambient temperatures. Innovative KEE ‘flow control’ mechanism fitted to each RBC to enhance process stability. 30 years design life, 20 years warranty on structural components. £812,520 energy saving and associated carbon footprint over 20 years. 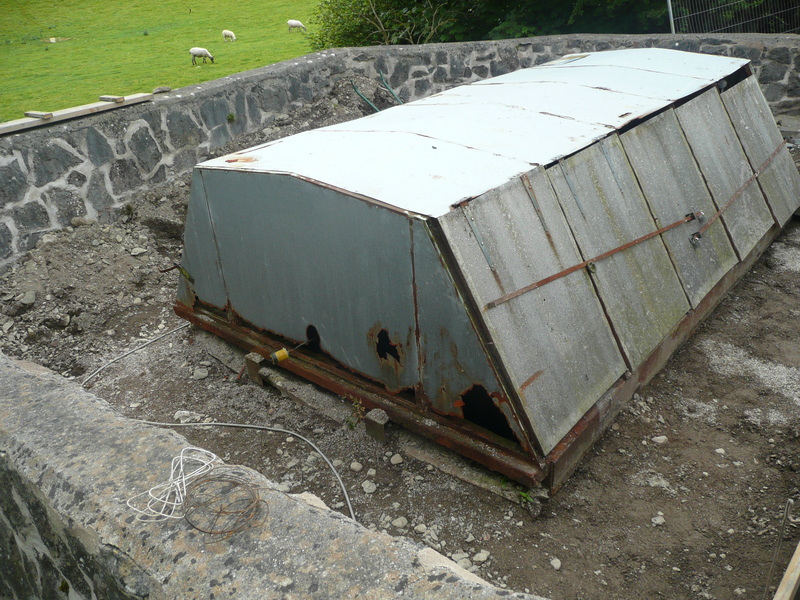 £947,200 OPEX saving due to reduced operational, maintenance, labour, spares and sludge disposal costs over 20 years. 30% saving in CAPEX costs when compared to an equivalent sized ASP (MBR) system. Keady Wastewater Treatment Works is just one example of the many projects being undertaken by NI Water and KEE to improve infrastructure in Northern Ireland. These projects represent part of a £490 million investment by NIW in wastewater services throughout the North over the past three years. This entry was posted in KEE NuDisc Technology, Wastewater Plant Operation, Wastewater Treatment Plant Servicing and Maintenance, Wastewater Treatment Process Technologies and tagged KEE NuDisc Wastewater Treatment Plants, Rotating Biological Contactor (RBC), wastewater treatment equipment on July 26, 2017 by Connellmarketing1234. “ I had not personally worked with KEE before and I was impressed with their ingenuity and their unwavering commitment to deliver the upgrade at Brinkley on time and to a high standard. It is refreshing to work with a company that do not have a ‘fit and forget mentality’ and have a genuine passion for the service they give their customers. If ever I need some expert advice or another Waste Treatment Plant, I will not hesitate to contact KEE. ” Gavin Pipe Anglian Water. KEE have been working with Anglian Water for over 30 years and were commissioned to design and install the original B16 Rotating Biological Contactor (RBC) at their Brinkley site back in 1983. Following mechanical failures well past the 30 year manufactured design life of the plant, Anglian Water knew 3 years on, that the site was in need of re-furbishing. 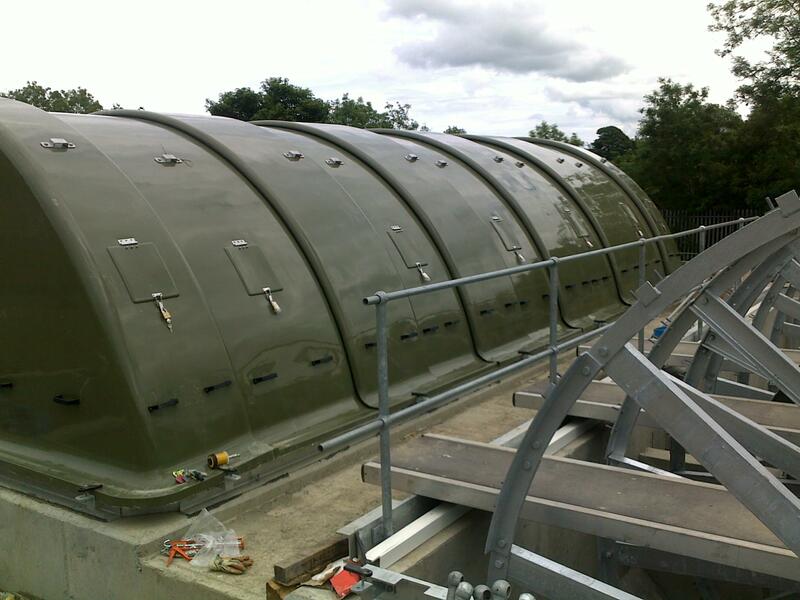 Therefore they installed a temporary SAF Treatment Plant to be set up on site to treat the waste whilst they sourced and installed a replacement RBC. Unfortunately the temporary SAF Plant kept ‘tripping out’ and proved unable to treat the effluent to the correct consent levels so Anglian Water had no option but to have the effluent removed from site manually using tankers. At this point Gavin Pipe, Project Engineer for Anglian Water at Brinkley contacted KEE to arrange a site survey and quote for a new RBC replacement. 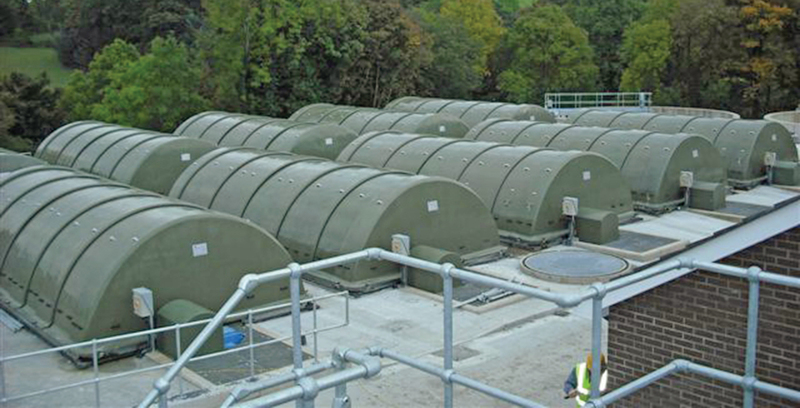 Upon arriving on site, KEE noticed that Magnasol was being used to neutralise ammonia from the B16 discharge in order to achieve the required environmental consent levels. It was therefore clear that the old plant was not achieving today’s environmental standards without chemical intervention. Anglian Water agreed to KEE’s proposal and the new RBC was installed on the 26th of September. The installation took the scheduled 3 days to complete and the Brinkley site is now back in full working order, benefiting from the very latest solutions in mechanical engineering and process technology. For more information on KEE’s latest compact, self contained NuDisc® RBC, please call KEE Process on: 01296 634500 or visit the KEE Group website. This entry was posted in KEE NuDisc Technology, Wastewater Treatment Plant Refurbishment, Wastewater Treatment Process Technologies and tagged KEE Services upgrading a wastewater treatment plant, pumping maintenance, pumping station service, Rotating Biological Contactor (RBC), wastewater treatment equipment on June 21, 2017 by Connellmarketing1234.